Apple CEO Tim Cook said back in May that his company was doubling down on secrecy. Doubling down. That would mean, in my eyes, that the company would try harder than ever to keep everything under wraps. Everything close to the vest out of of the eyes of anyone who would try to leak its products. And yet, that's exactly the opposite of what happened. There were so many leaked parts and renders that we already knew all of Apple's announcements before Cook took the stage today. Take a look back out our complete mockups and renders post, which we published back in early June. The model our master artist Jan Quach created out of leaked parts matches up almost identically with the iPhone 5 today. Pair that up with dozens of leaked hardware parts, including the A6 processor, 4G LTE support and a completely redesigned Lightning port and everything, at least that I can think of, has already been published in great detail. Sure, the launch wasn't as bad as when Gizmodo got its hands on the iPhone 4 back in 2010, but it's almost worse. At least Gizmodo didn't publish the images until just a few days before the event. With all of the leaked iPhone 5 parts we already had a dead-on idea of what the iPhone would offer for several months. So who is to blame? Tim Cook, one might surmise. Before his role as the chief executive officer of Apple, Cook served as the chief operating officer. That meant working closely with the company's supply chain partners. Ultimately, however, it was those partners that are probably responsible for the leaks. Cook should have an iron grip on his suppliers if he actually wants to double down on secrecy. Which poses yet another question: were the leaks on purpose? It's possible, but I'm not a conspiracy theorist and I don't have enough data to back up that claim. Still, we probably published hundreds of iPhone 5 related stories over the past several months leading up to today's launch. That certainly builds hype around a product. It even helps hype Apple's device while other manufacturers, such as HTC, Samsung and Motorola, release new smartphones with capabilities that far exceeded those of the iPhone 4S. Obviously Apple didn't want anyone to forget that it, too, had a major announcement on the way. But none of us did forget. Nor would we ever. Apple remains one of the largest players in the smartphone space. It's the third largest maker of mobile phones worldwide, according to Gartner, behind Nokia and Samsung. Apple and Samsung also own 55 percent of the global smartphone market, including 90% of the profits, according to a recent report from ABI Research. So what gives? 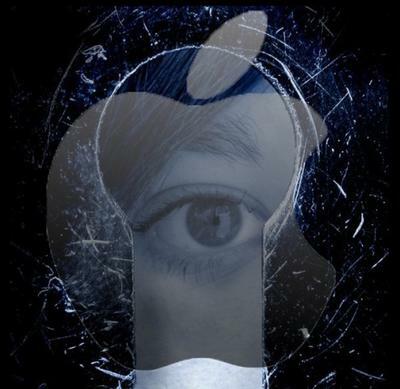 Is Apple really doubling down on secrecy? It doesn't appear to be.